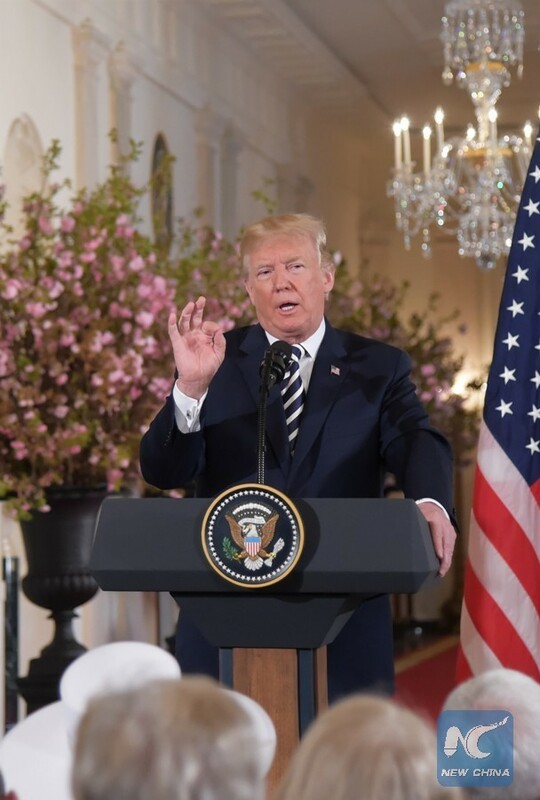 WASHINGTON, April 24 (Xinhua) -- U.S. President Donald Trump said on Tuesday that Treasury Secretary Steven Mnuchin and U.S. Trade Representative (USTR) Robert Lighthizer will travel to China in a few days for trade talks. 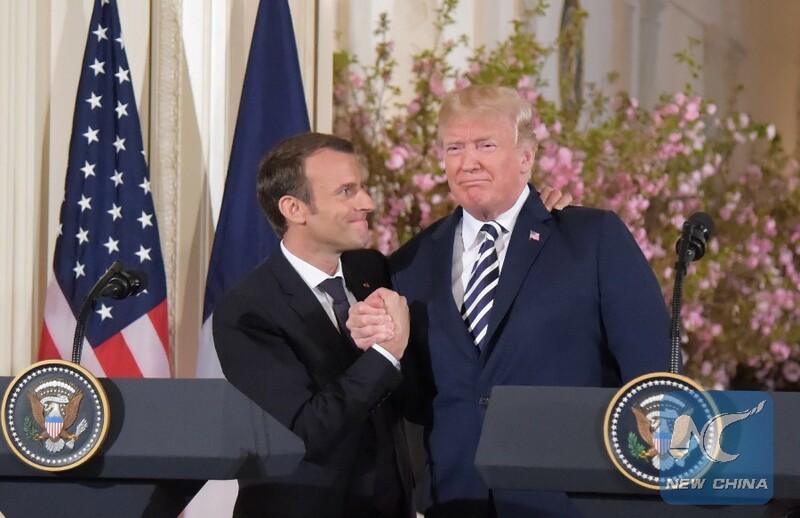 "In fact, we're having Secretary Mnuchin and a couple of other folks heading over to -- Bob Lighthizer -- heading over to China," Trump said at a press conference with visiting French President Emmanuel Macron at the White House. "They (Chinese officials) came here, as you know, last week. And we're having very substantive discussions on trade," Trump said, referring to bilateral discussions of trade on the sidelines of spring meetings of the International Monetary Fund (IMF) and the World Bank, which concluded here last week. During the spring meetings, Christine Lagarde, managing director of the IMF, and other financial leaders around the world called on the United States and China to resolve trade tensions through dialogues and rules-based multilateral institutions. "I believe the trade will work out ... hopefully it'll be good for everybody concerned," Trump said. Trump's remarks came after Mnuchin said Saturday that he was considering a trip to Beijing to discuss trade issues with his Chinese counterparts. "China has received the information about the U.S. side hoping to come to Beijing for consultations on economic and trade issues and we welcome it," Chinese Foreign Ministry spokesperson Lu Kang said on Tuesday. "I want to stress that China-U.S. economic ties are mutually beneficial in nature and have long been delivering tangible benefits to the business communities and consumers of the two countries," Lu said. The Trump administration has recently threatened to impose tariffs on up to 150 billion U.S. dollars of Chinese imports, while China has vowed to retaliate against U.S. exports if the Trump administration moves forward with the tariffs. "These problems can be solved through bilateral consultations or within a commonly recognized multilateral framework. However, they can never be solved through unilateral means," said the Chinese spokesperson. Unilateralism and trade protectionism will inevitably harm others without benefiting oneself as the global economy is deeply integrated, China's Foreign Ministry spokesperson Hua Chunying said last week. Citing a report from the Brookings Institution, Hua said a U.S.-China trade war would result in a loss of more than 2.1 million jobs in 2,700 U.S. counties.